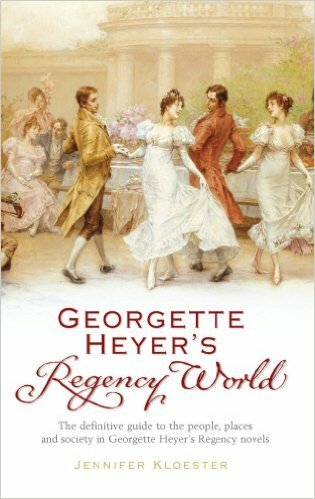 Today we welcome Georgette Heyer’s biographer, Jennifer Kloester, to the blog. She has some exciting news for Heyer fans. Jennifer has unearthed Heyer stories that were long out of print. And now, three new Heyer stories are being republished. Read on for Jennifer’s detective story . . . Millions of romance readers the world over love Georgette Heyer’s sparkling Regency and Georgian novels. Since 1921 when, as a teenager, she published her first novel, The Black Moth, Heyer has delighted us. In recent years, a new generation — by my calculation the fourth — has helped to propel Heyer back into the ranks of consistent bestsellers. 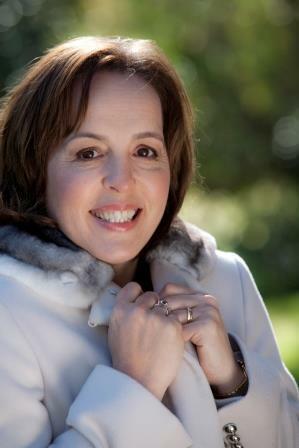 She has sold over a million of her titles in the UK, USA and Australia in the past decade. Hardly surprising for such a witty and entertaining author. This year Random House UK are republishing her 1960 short story anthology, Pistols for Two. It has a new title — Snowdrift and Other Stories — and an appropriately gorgeous cover (shown here). Plus three ‘newly discovered’ Regency stories as a bonus for Heyer fans. These new stories — ‘Incident on the Bath Road’, ‘Runaway Match’ and ‘Pursuit’ — were originally published between 1935 and 1939. And, while two of them were reprinted in Mary Fahnestock-Thomas’s self-published Georgette Heyer: A Critical Retrospective (2001), they have never been published commercially in book form. ‘Incident on the Bath Road’, in particular, made its very first appearance in Woman’s Journal in 1936 and The Australian Women’s Weekly in 1937. It has not appeared since. I remember the thrill I felt in seeing these stories for the first time in their original form. It was fifteen years ago while I was researching Georgette Heyer at the British Library. This was in the days when the internet was still young. Google was in its infancy then and digitisation on a mass scale a distant dream. Back then, the only way to find Heyer’s long-forgotten short stories was to go to England and physically search for them. Intrigued by the idea that there might be unknown Heyer stories out there and with an invitation to meet and interview her son, Sir Richard Rougier, I set off for England. Scrolling through hundreds of microfilm and turning page after page of multiple magazine titles (over 3,000 individual mags in the end) was laborious but ultimately incredibly rewarding. I cannot describe the excitement I felt. On turning a page, there was Georgette Heyer’s name below the title of a story I had never seen before. And what do these New Heyer stories offer fans? Each of these three short stories is classic Heyer and fans will enjoy finding in them hints of stories and characters to come. It is exciting to think that for the first time these three early Heyer short stories will be published together for a worldwide audience. Fans and new readers alike will delight in them. Jennifer Kloester is the author of Georgette Heyer’s Regency World, an illustrated companion to Heyer’s classic Regency novels. 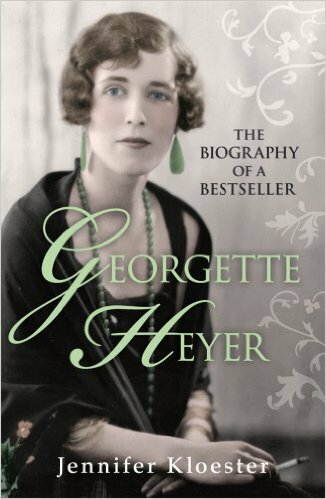 She also wrote Georgette Heyer: Biography of a Bestseller, the authorised biography which was nominated for an Agatha Award in 2013. Jennifer loves writing fiction, too. Her YA novels, The Cinderella Moment and its companion, The Rapunzel Dilemma, were published by Penguin Australia in 2013 and 2014. She is currently finishing her latest novel which, though contemporary, has the Regency era at its heart. You can find out more on the Jennifer Kloester website or on Twitter @jenkloester. When writing, Jennifer sometimes wishes she could channel Georgette Heyer which is probably true of many authors, including Joanna and Sophie of this Parish! Jennifer loves re-reading Heyer’s novels because they make her laugh out loud. Snap! from Joanna, who said exactly the same in her Love Letter to The Grand Sophy. And very many thanks to Jennifer for this blog on a subject dear to many hearts. This entry was posted in guests, research and tagged biography, Georgette Heyer, Jennifer Kloester, Pistols For Two, research, short stories, Snowdrift and other Stories, YA on 23rd October 2016 by guest. yes! I’ve got it. Had it on pre-order and can’t wait to read the new stories. I have read them before, I think, on digital copies of the magazines mentioned above – or two or them anyway. But always a joy to read Heyer and unfamiliar stories are even better. I totally agree with you, Elizabeth and I do hope you enjoy the stories. You will probably have read ‘Pursuit’ and ‘Runaway Match’ but even though I’ve read them a few times each, as with every Heyer re-read it’s always a pleasure – a sure sign of her talent I think. I do hope you enjoy ‘Incident on the Bath Road’, it’s good fun. I absolutely adored Incident on the Bath Road! The other two were fun as well. Inimitable Heyer, even though they were early works. She was clearly perfecting her Corinthian style heroes as she went along. Naturally I couldn’t wait to read them and plunged in last night. I’m a fan of quite a few of the other Pistols for Two stories as well. As I love April Lady, I’d be so interested to read that early inspiration you mention, not to mention the one for Faro’s Daughter. It’s always fascinating to see germination happen – like The Black Moth morphing into These Old Shades and its follow-ups. She clearly adored the Alistair family. Hurray! What a treat! I’ve always loved her ‘Pistols for Two’ collection of short stories. I’m looking forward to reading the newly discovered treasures in store. Hi Elizabeth, I do think Random House have done a lovely job with Snowdrift (the cover is gorgeous) and it’s nice to have the ‘new’ Heyer stories in print. It’s also reaped a couple of fab reviews and Andrew Taylor’s in The Times is a wonderful tribute to Heyer’s writing. It’s nice to see the modern media acknowledge what we’ve known all along – that Georgette Heyer novels are timeless! Thanks for finding the short stories! I’m curious, though. What happened to the other three Regency stories and the eight contemporary stories? Great question, Lori. The other three historical stories are interesting. The first was a lovely find in the British Library in the 1923 Sovereign magazine (I nearly screamed aloud when I turned the page and saw it). It’s called ‘Love’. As far as I know (there may be other Heyer shorts to find) it is Heyer’s first historical short and it’s actually a tragedy set in the 18th century. That story and the early contemporary shorts are kind of considered her juvenilia and, as such, have not been republished by the Heyer Estate. The other two historical shorts are both clear ‘seed’ stories for later novels and I think readers might feel a little cheated if they were presented as ‘new’ in a commercial publication. Although, having said that, you will find hints of stories to come in the three bonus shorts in Snowdrift. ‘Lady, Your Pardon’ is the story Heyer used as the inspiration for Faro’s Daughter and it is very much the same plot just in short story form. ‘The Quarrel’ is the other historical and it inspired Heyer to write April Lady. I think they’re both well-written shorts and might be of real interest to the fans but perhaps other Heyer readers might feel that they detract from the later novels. Just in case anyone was wondering why Jennifer Kloester hasn’t replied to the comments here. She’s in Australia and she’s asleep right now! But she’s planning to reply in the morning, her time. So watch this space.